Design study of Sea Cloud Spirit (Source: Acubens). 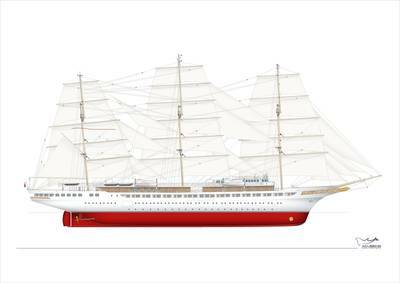 DNV GL was selected to class the passenger sailing ship Sea Cloud Spirit, to be built by Metalships & Docks in Vigo, Spain, scheduled to set sail in the summer of 2020. 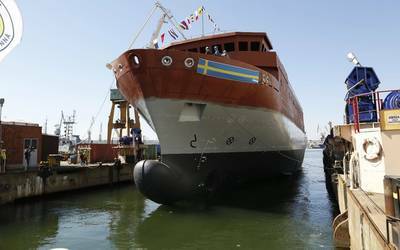 Ordered by the Hamburg-based operator Sea Cloud Cruises, the vessel is designed to meet the demand from both independent travelers and the charter market, mainly in the Caribbean and the Mediterranean. “Sea Cloud Spirit will become the third addition to our fleet of luxury sailing vessels. She will offer a unique combination of luxury accommodation, technologically advanced amenities and traditional sailing, and we look forward to welcoming our first guests on board in 2020,” said Daniel Schäfer, Managing Director of Sea Cloud Cruises GmbH. Sea Cloud Spirit will measure 138 x 17.2 m and will be outfitted with 69 outside cabins, 25 of which will have a private balcony. The vessel is a full three-masted sailing ship, able to carry up to 136 passengers on luxury cruises, with 85 crew members on board. 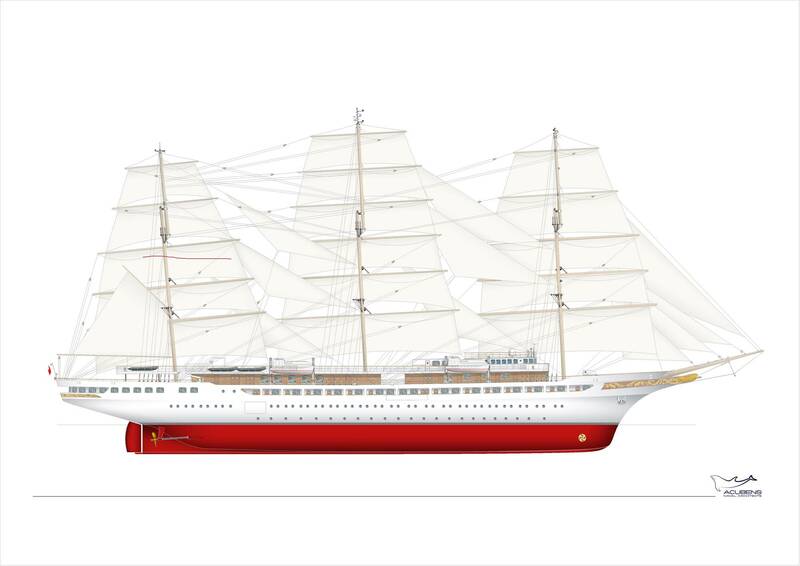 The planning firm Partner Ship Design from Hamburg will be responsible for the design of the ship's interior. “Sea Cloud Spirit will offer a new level of comfort to sailing cruise passengers. In addition to beautiful views from private balconies, it will have the first elevator ever to be installed on a large sailing ship that will connect its five different decks,” said Alberto Iglesias, Managing Director at Metalships & Docks. Sail surface overall: 4,000 sq. m.